Obituary for Wayne Francis Ivey | W. J. Dooley Funeral Service Ltd. It is with great sadness that we announce the passing of Wayne Francis Ivey, age 70, beloved father, grandfather, brother and friend on Saturday August 18, 2018 at the Cape Breton Regional Hospital, Sydney. Born in North Sydney, August 28, 1947, he was the son of the late Stanley and Mary (MacIsaac) Ivey. Wayne was employed for many years at National Sea Products, North Sydney, later with the construction of the Confederation Bridge, PEI, Goodyear Tire in Ontario and then with Local #92 Laborers Union in Fort McMurray, Alberta. 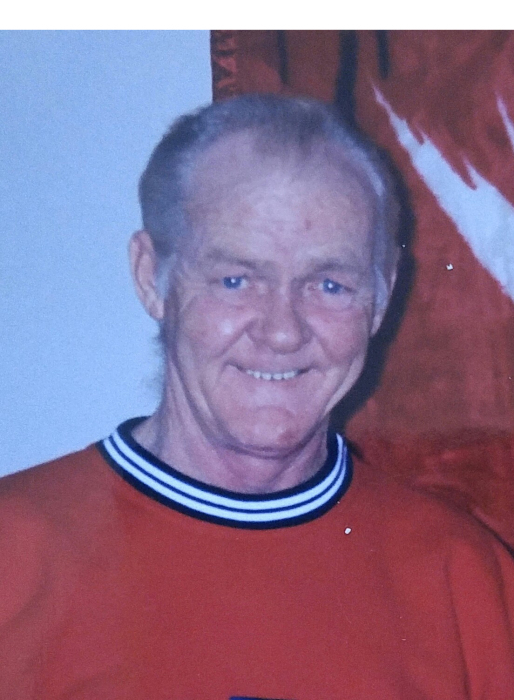 Wayne enjoyed having a coffee, parked on Dooly’s lot in his truck talking to his buddies, listening to music at Indian Beach, attending family gatherings to spend time with family and friends, he was an avid Detroit Red Wings fan, he will be missed by his faithful companion his dog “Angel”. Wayne is survived by two sons Jason (Brandy) Hawley, John Hawley, his pride and joy, along with their mother Evangeline Hawley, who Wayne resided with during the past couple of months of his illness, she was the love of his life, two grandchildren Jersey and Miranda who he adored, his sisters Thelma Scott, Betty Marsh, Mary (Joseph) Skinner, Linda (Lorne) Skinner, Dave (Mary) Ivey, Terry (Marilyn) Ivey and Russell Ivey, sisters-in-law Bertha Ivey and Louise Ivey, special niece Beverly Ivey, special nephew Troy Skinner. Besides his parents Wayne was predeceased by brothers Lou, Bill and Don Ivey, sister Peggy MacDonald. The family would like to thank the Doctors and Nurses at the Palliative Care Unit, Cape Breton Regional Hospital, Sydney, especially nurse Jackie.